Key difference: Both flip flops and latches are elements of sequential circuitry in electronics. The main difference between them lies in the fact that a latch does not have a clock signal, whereas a flip-flop always does. Digital integrated circuits such as memory chips and micro processors are logical circuits. These involve logic gates within them to store a circuit's state, which in technical terms means all the stored information at a given instant in time, to which a circuit has access. Flip flops and latches are nothing but small circuits which are interconnected with similar circuits to form logic gates. Latches can also be built from gates, and flip flops from latches. The name "flip-flop" comes from the circuit’s nature of alternating between two states when a current is applied to it. 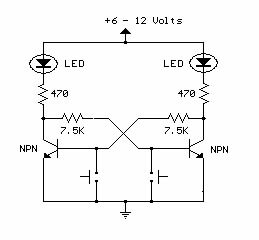 The act of applying a current, or providing the circuit with an input pulse is known as triggering the circuit. A flip flop circuit maintains its state until it receives a trigger, which forces the circuit to alternate its state. The circuit’s synchrony with such triggers can be understood as clocking, and the triggering is itself known as a clock signal. The clock signal is the reason why flip flop circuits are known to be synchronous, as the outputs of all the elements within the circuit changes simultaneously to the rhythm of the global clock signal. A latch is nothing but a simpler form of the flip flop circuit. Unlike flip flop circuits, latches are completely asynchronous in nature. This is because their output changes after the change in the input. Whereas, in the flip flop circuits the output changes along with the changes in the input. It is notable that the change in the output of a latch circuit differs only by seconds to the change in the output of a flip flop circuit. However, despite this trivial difference, a latch circuit is still considered to be asynchronous in nature. Nevertheless, latch circuits are equally useful as flip flop circuits and are used for the same purpose as well, which is to store the essential information of a circuit. They can transfer data only at a single instant. The next data transfer is only possible at the signal change. Sending and receiving data is possible when the switch is on. 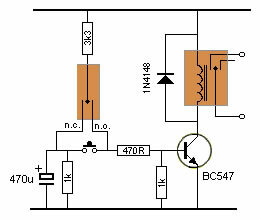 A flip flop circuit changes its output only at the hint of the clocking signal. A latch circuit changes its output only after the input changes. It works to the rhythm of the clock signal. It works on the basis of enabled function input. A flip flop circuit changes its state only when there is a trigger and a clock signal caused by it. Latches change their state depending upon their binary input. The output of their present state and the input of the next state is also dependent on the binary input.